Another extremely busy day at the OR Show. Look for full reviews of everything mentioned below coming soon! 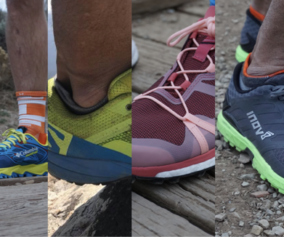 Outdoor Retailer Show – Day 3 from Trail And Ultra Running on Vimeo. 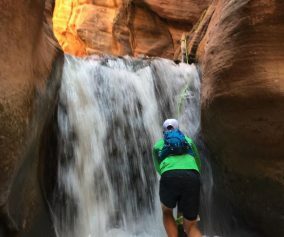 Camelbak – Had an early start with Camelbak. Seth Bieden showed me their Marathon and Ultra Packs. Both packs were released last year and are impressive. They have large front loading pockets as well as additional rear storage. Nice! Check them out! Hoka One One – met with co-founder Nicolas Mermoud and learned about some of the small refinements coming in 2013. They’re focusing mostly on fit and breathability. Energizer Headlamps – This booth caught my attention. 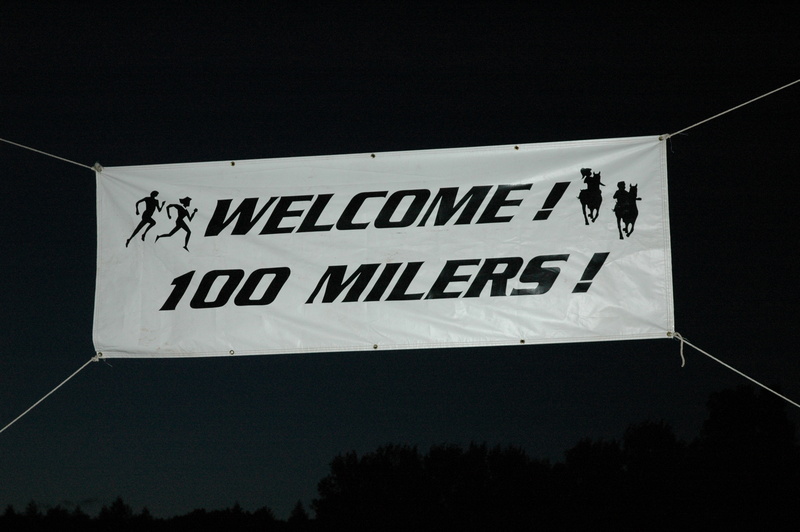 I had a great conversation with a couple of the employees about the needs of the ultra marathon community. Cross our fingers! 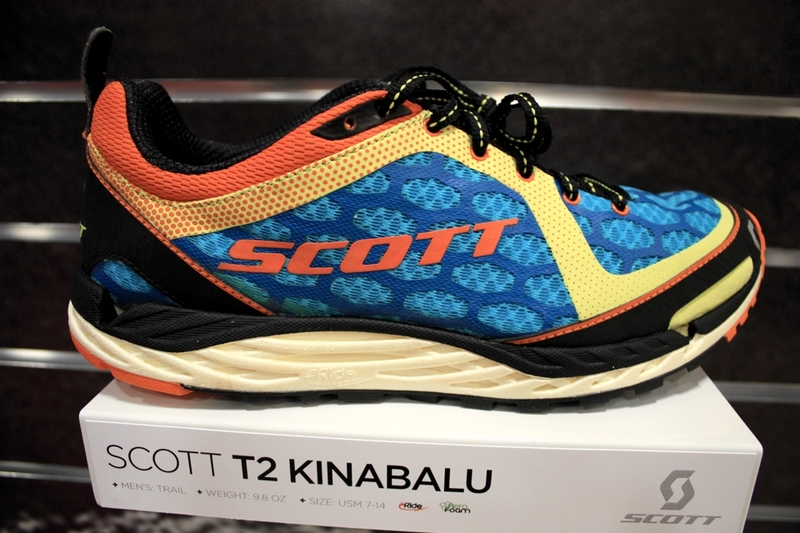 Scott – I stopped by and looked at a couple of the Scott trail shoes. Hardrock finisher, Jonathan Basham, was there to help me. They have a new shoe coming out which utilizes a blown EVA that is lighter, softer, and lasts longer than normal EVA. 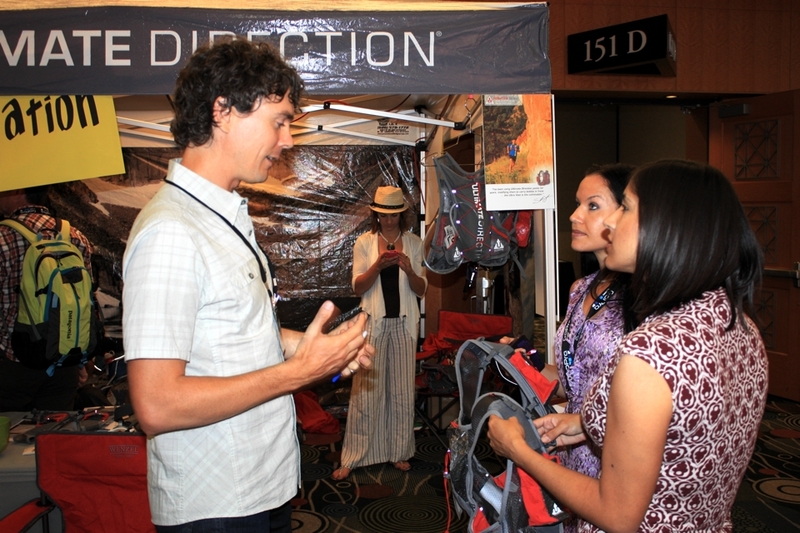 Scott Jurek – I was fortunate enough to land a great interview with Scott. He’s such a great person to chat with; very authentic and open. Scott has had a really busy year with his book and wedding. He hopes to get back to racing next year. It’s hard to believe he’s been running ultras for 18 years now! 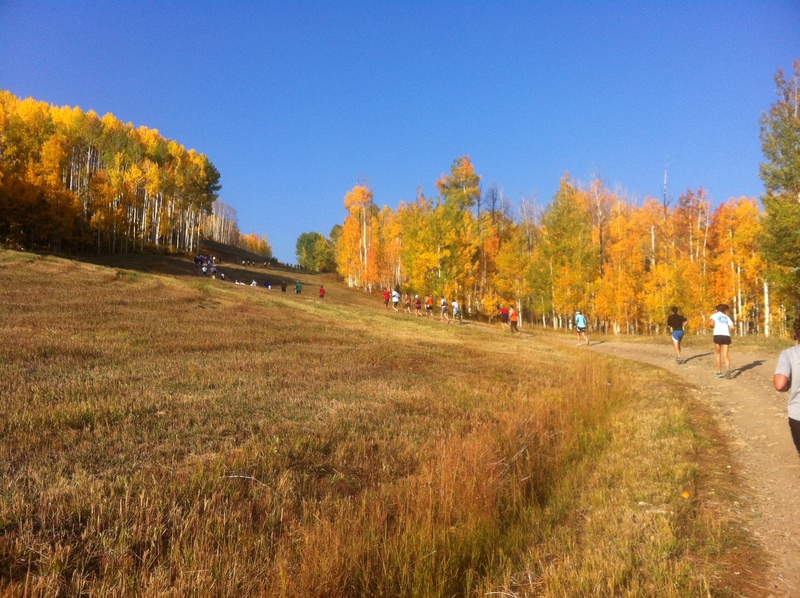 Altra Zero Drop – I got some more quality time with Golden Harper. Zero drop is a concept that Golden and his group initiated many years ago. 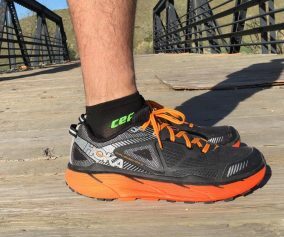 The Lone Peak is an impressive shoe designed not only to tackle the Wasatch 100 but it attempts to minimize any manipulation of your foot, giving it all the freedom it deserves. Gregory Packs – John Pieper and I talked about their new running specific products. They’ve built a whole new line of handhelds, waist packs and full-on vests. Best of all, every single product has both men’s and women’s specific designs and sizes. For example, the women’s vest are cut completely differently from the men’s in the front. To top it off, the vests come in 3 different cargo capacities: 3, 5 and 8 liter. These new offering take up 10 full pages in their Spring 2013 dealer book. Ultimate Direction – I finally got to sit down with Buzz Burrell. UD has a new signature series product line. These new vests are the most innovative product design we’ve seen at the show. 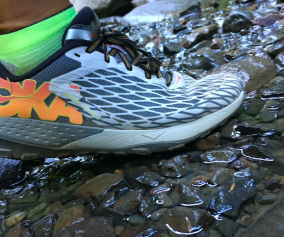 The Anton Krupicka and Scott Jurek models are ultra light weight but have an amazing amount of strength due to materials ported from other sports. There will be no moisture absorption in these materials. The SJ model has an unbelievable amount of storage while remaining minimalist. Nathan – they showed us their new Vaper Shape hydration vests. These will be the Escalade of packs when released.